Edward Green, renowned composer and professor of music at the Manhattan School of Music, has done the Ducal world of scholarship a lovely favor with The Cambridge Companion to Duke Ellington (Cambridge University Press). With 17 essays from scholars, musicians and even Duke’s nephew-as well as an illuminating introduction by Dr. Green himself-this volume is as necessary as it is enthralling. Using “Harlem Airshaft” as an example, Green says that Duke is exclaiming to the world in this piece: “World-bring on your diversity, your disorder. Bring on the way things get tangled up, and ugly with each other. We’ll find order there; we’ll find the unity; we’ll find beauty!” It’s a fascinatingly unique view of Edward Kennedy Ellington: a composer with a tremendous desire to respect all aspects of human (and natural) life, an artist who could see the unity (and harmony) in this world’s opposites. And that’s just this wonderful book’s introduction. The book itself is organized in a fine manner. 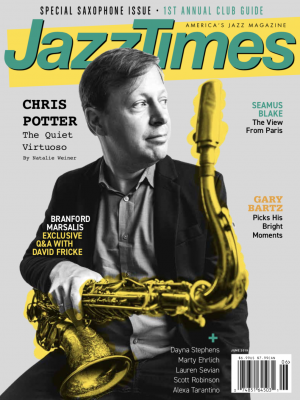 Its 17 chapters are grouped in three parts: “Ellington in context”; “Duke through the decades: the music and its reception”; and “Ellington and the jazz tradition.” All of the essays are fascinating. Chapter 3, for example, is titled “Conductor of music and men: Duke Ellington through the eyes of his nephew,” and is written by Stephen D. James (accompanied by J. Walker James) with an insider’s eye. Here is a sample of what you can find in it. On Billy Strayhorn’s death: “I saw Billy cremated, flames licking the outside of his coffin as he disappeared in darkness. After his funeral, as he had requested, a small group of his closest friends-including my uncle, myself, and my mother (Duke’s sister Ruth)-gathered at the 79th Street Boat Basin in Manhattan where we scattered his ashes along with handfuls of rose petals into the Hudson River. We continued to gather there on the anniversary of his death for many years to come, scattering roses into the waters and watching the currents take them away from us, out to sea.” Swee’ Pea, composer of so many gorgeous pieces named after flowers, being memorialized with flowers. Perfect. The masterful Dan Morgenstern also writes with an insider’s point of view; his chapter-in Part II of the book-deals with Ellington’s unbelievably busy and fertile 1960s and ’70s. Of the 1961 Duke/Louis Armstrong sessions, Morgenstern writes: “I was on hand for the second session, and it was fascinating to observe the ease with which the two protagonists communicated, musically and personally. As was his way, Armstrong gave every take, even rehearsal takes, all he had. Since he’d had an unusual layoff, his embouchure was tender. Ellington arrived complaining of a headache, soon relieved by some Armstrong humor.” And through the gift of Morgenstern’s graceful, evocative writing, we, too, are in the studio on that long ago magical day. The musician and scholar David Berger contributes two superb chapters: “The Process of Becoming: Composition and Recomposition” and “The Land of Suites: Ellington and Extended Form.” The other chapters, each thought-provoking, well-written and technically expert, are likewise by authoritative jazz scholars-(Green has assembled an “A-Team” for this volume): Will Friedwald; Benjamin Bierman; Marcello Piras; Bill Dobbins; Walter van de Leur; Benjamin Givan; Anthony Brown; Anna Harwell Celenza; Andrew Berish; Jeffrey Magee; Olly W. Wilson and Trevor Weston; Brian Priestly; and John Howland. In addition, the Companion‘s useful and extensive “Chronology” was compiled by its Associate Editor, Evan Spring. 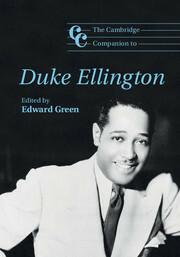 For the Ellington fan, the Ellington scholar, for anyone remotely interested in learning more about the man whom Green quite rightly calls “America’s greatest composer,” The Cambridge Companion to Duke Ellington is indispensable.